ROLONTIS® (eflapegrastim) is an investigational drug not yet approved by the FDA. ROLONTIS® (eflapegrastim) is an investigational granulocyte-colony stimulating factor (G-CSF) analog. 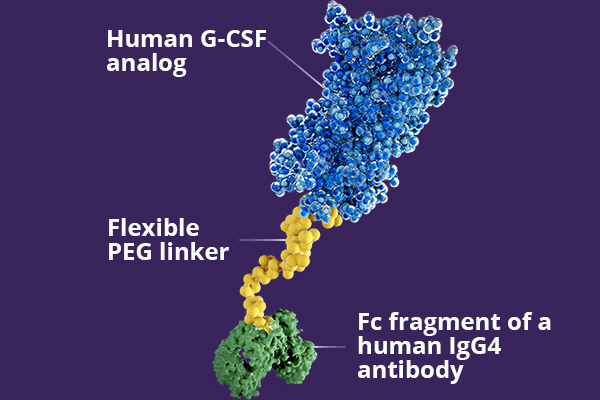 It comprises two protein components—an analog of G-CSF and an Fc antibody fragment—tethered by a flexible polyethylene-glycol linker. > To read the latest news about eflapegrastim, or to watch a video on its mechanism, click here. 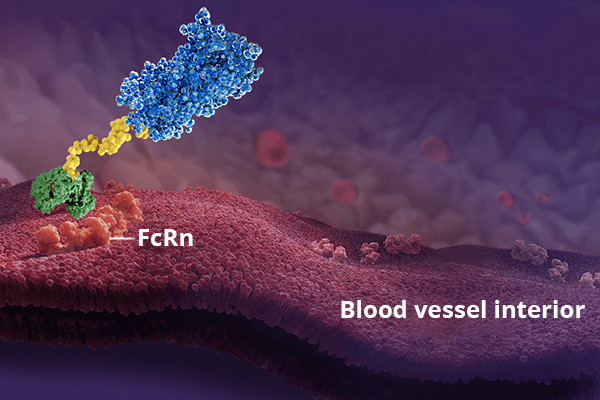 ROLONTIS® (eflapegrastim) data suggest that the human IgG4-derived Fc fragment of eflapegrastim interacts with a specific Fc receptor called FcRn, which is expressed in endothelial cells and in bone marrow, and is thought to prolong its retention in these tissues. Being evaluated to decrease the incidence of infection, as manifested by febrile neutropenia, in patients with non-myeloid malignancies receiving myelosuppressive anti-cancer drugs associated with a clinically significant incidence of febrile neutropenia.